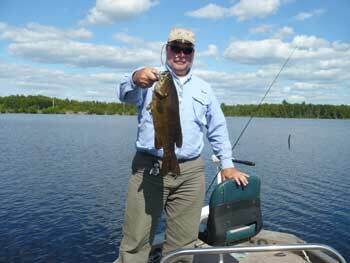 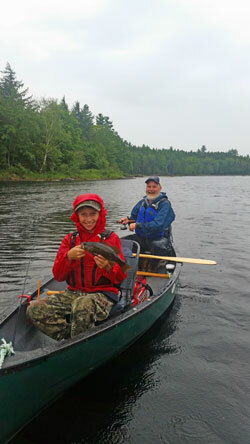 Eagle Lodge and Camps is set in the midst of a world class fishery with upwards of 50 different bodies of water all within an hour's drive of the lodge. 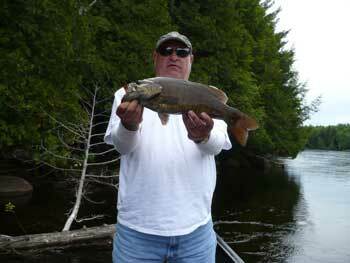 The bronze back, you might say, has us surrounded. 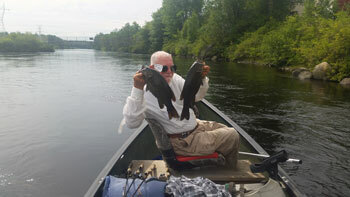 The famous Penobscot River flows but a few miles away. 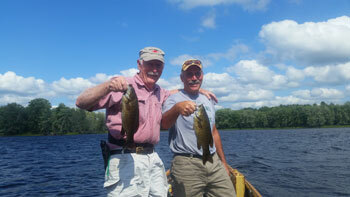 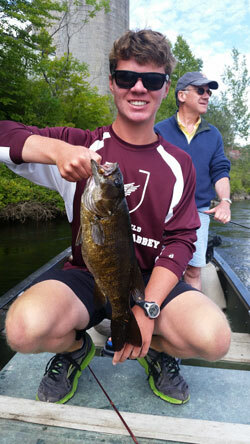 With daily catches of 50 to 100 Smallies, it's no wonder it's considered world class. 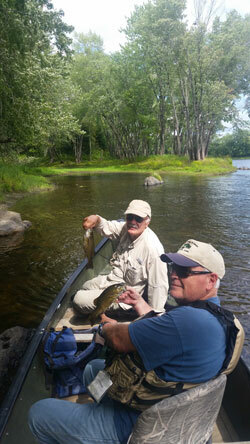 Our Lodge waters, Folsom Pond, although not producing the numbers of the Penobscot, surely makes it up by size. 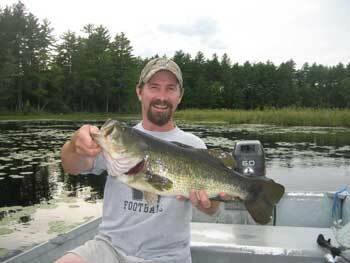 4 lb. 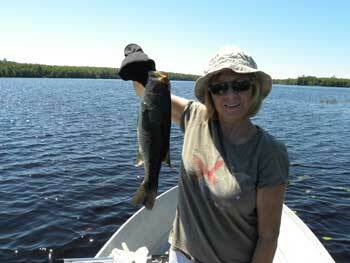 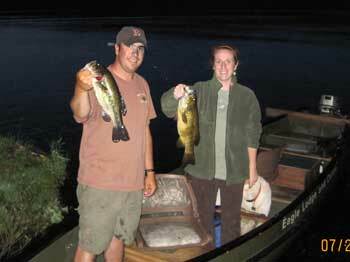 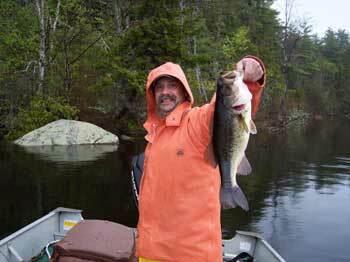 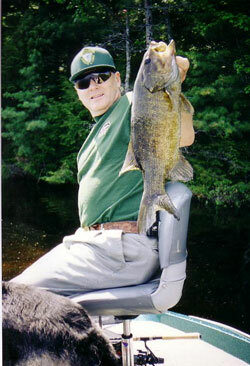 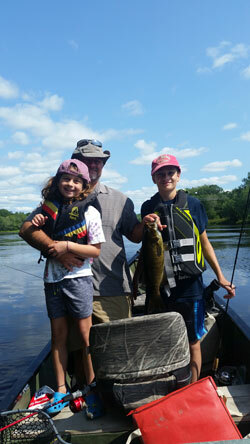 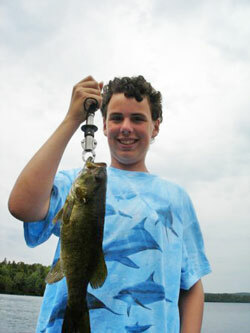 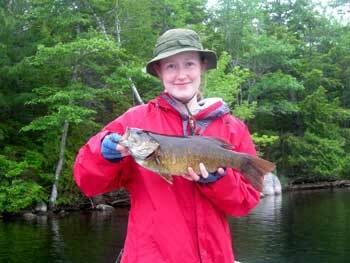 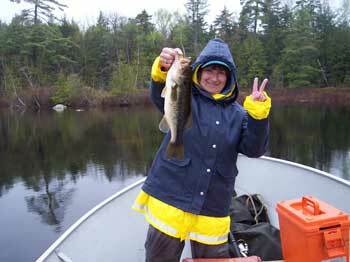 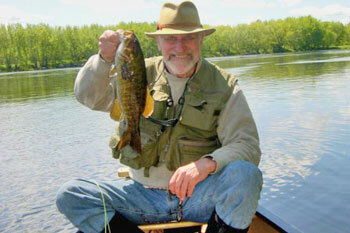 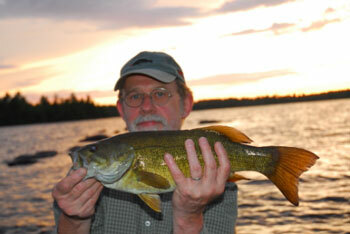 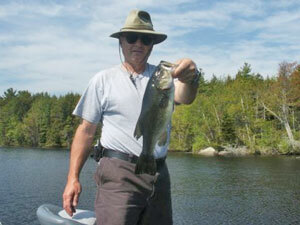 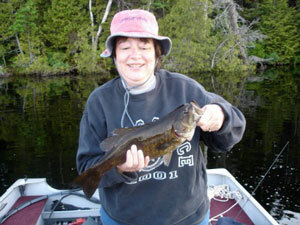 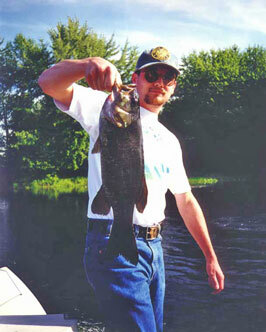 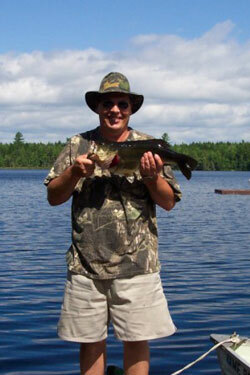 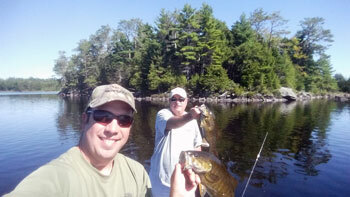 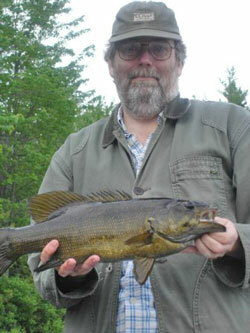 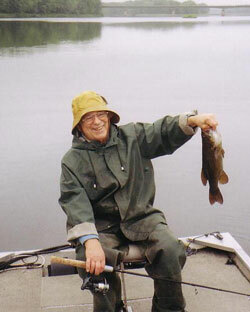 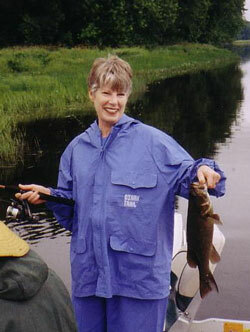 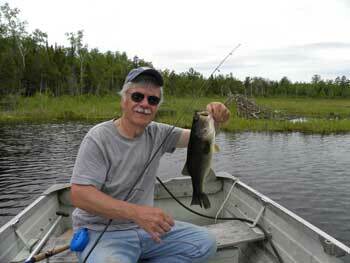 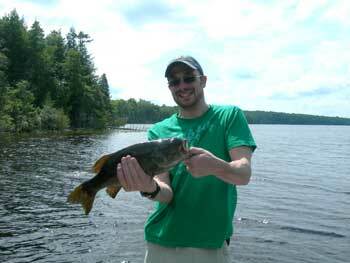 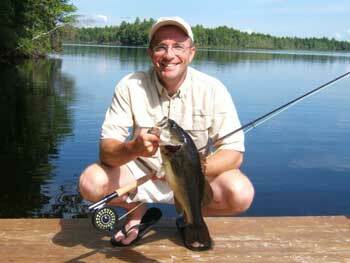 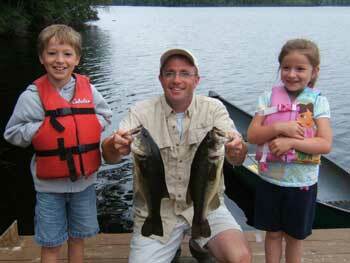 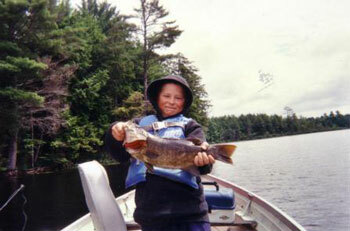 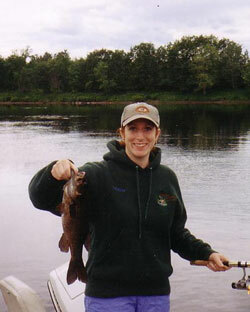 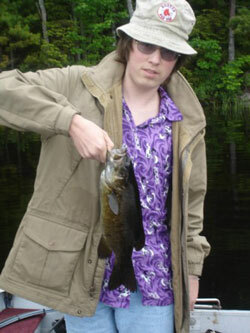 fish are common, with 5-pounders caught and lost each year - fish that keep you wondering until your next fishing trip! 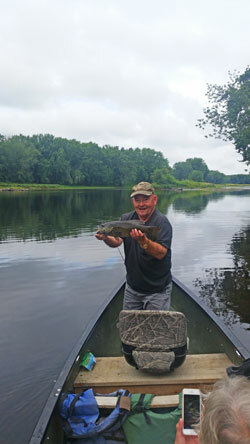 Take a look at the photos on this page, then give us a call!